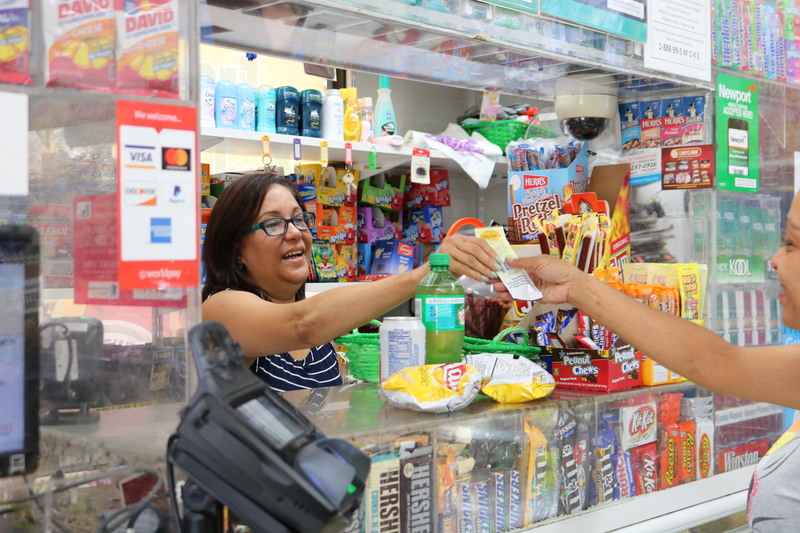 The Greater Philadelphia Hispanic Chamber of Commerce (GPHCC) and its “roadshows,” which are free workshops for Latino small business owners, have given North Philadelphia corner store operator Miguel Peralta and his wife Rosario Diaz the resources to understand and take control of the inner-workings of their bodega. Using these resources, Peralta has plans to buy the building that houses his store N. 16th St., add a market and restaurant to the location, and open a second store at N. 9th and W. Huntingdon streets. Peralta has made connections with a number of bilingual, professional resources of Hispanic descent through GPHCC, including lawyers, accountants, and experts in insurance and social media. The sessions are called “roadshows” because GPHCC has meetings and brings in experts to the business’ neighborhood in order to not disrupt their daily work and earnings. The chamber has also connected Peralta with institutions that can provide him loans at low-interest rates like the Merchant Fund, which gave him a grant of $10,000 to expand his business. Finding access to capital is the hardest part for immigrants like himself, Peralta explained, because they can come to the U.S. with no financial history and in most cases do not know all the logistics behind owning a business. “They don’t know you,” Diaz added. She handles the administrative work of the corner store, where the couple’s four sons also help out when they’re not in school. The programs from GPHCC have been essential to Peralta’s business and opened up the possibility of expanding, he said. He is still working on his English since immigrating to the U.S. from the Dominican Republic in 2009, so connections with other Hispanic professionals in the community have diminished the learning gap normally faced by Latino immigrants trying to build successful financial assets in their new country. Most importantly, Peralta said, he has had the ability to evaluate loan options and lower the risk of losing his business at the hands of high-interest rates. “The work of the chamber, for us, is helping us with the banks and facilities and ensuring that the money from the bank is what I call ‘cheap money’ because it has a lower interest rate,” Peralta said. GPHCC Director of Programs Jimmy Duran manages the roadshows and facilitates connections between small business owners, lenders and experts. He said the chamber’s goal is to prevent Hispanic store operators from borrowing informally from individuals in their community, which he said happens to a majority of recent immigrants. These insecure transactions leave Latino business owners vulnerable to bad deals with high-interest rates and without solid contracts or backing from institutions, which Peralta said he wanted to avoid. Peralta is actively involved in the Dominican community of Philadelphia, who make up about 80 percent of all bodega operators in the city, according to Duran. Peralta is the president of the city’s annual Dominican Festival & Parade and used to live directly above his corner store, but now lives with his family in Cheltenham. He began operating the bodega in 2011 and has been preparing to buy the building for four years through the Philadelphia Industrial Development Corporation, a private-public nonprofit organization that backs bank loans for admitted applicants. The store has a typical format - cigarettes and tobacco products are sold behind a glass-sealed counter, and grocery, beverage and snack food products are found in the main isles. There is a deli in the back of the store that sells sandwiches and meats and they also tout some produce items, which is less common. Once they finalize the building purchase, Peralta and Diaz plan to expand the store to include a casual eats restaurant and a more formal supermarket, both to provide healthy food options for customers. Their restaurant and market vision also includes three to five more insured employees, which is incentivized by the organizations brought in through the GPHCC as a condition for their investment and services. Peralta and Diaz want to install an automated POS system in which ordering and paying for food is completely automated, similar to how food orders at Wawa operate. They hope to create a quick and secure way to optimize customers’ time in the corner store while providing healthier options, which they recognized as a priority for bodegas in the city. Corner stores play an important role in lower-income Philadelphia communities where full supermarkets are not within walking distance and bodegas are often neighbors’ single option for buying groceries. The family’s corner store is in a unique part of North Philadelphia, a few blocks from Temple University Hospital and Health Sciences campus. Peralta said his clientele includes students and workers who pass by on their way to campus, as well as members of the majority African-American neighborhood who consistently patronize his store, which has motivated his efforts to keep the store clean and up to code with the Philadelphia Department of Public Health. GPHCC took specific interest in the family’s corner store because of Peralta’s initiative and the store’s location, analyzing the neighborhood and clientele and advocating for lenders to strategically invest their resources into Peralta’s plan to expand. Peralta has also been admitted into the Community College of Philadelphia’s Power UP Your Business program, which similarly provides informational programs and resources for small business owners who have been operating for at least a year in the city. Power UP and Google will be putting on a workshop - in both English and Spanish - for optimizing business’ presence online and strategies to be found in Google searches and maps. The event will be hosted by the Philadelphia-based Evangelical Latino network, Esperanza, and is the first workshop offered in a non-English language, Director of Power UP Pearl Wang-Herrera said.